Dopaminergic neurons in the substantia nigra pars compacta modulate complex motor control. Nigral dopaminergic neurons exhibit three different firing patterns in vivo: a pacemaker mode, a random mode, and a burst mode. These firing patterns are closely related to motor control. However, the changes in the proportion of the firing patterns with respect to age have not been fully established. To clarify the age-dependent changes in the proportion of dopaminergic firing patterns, we used single unit extracellular recordings in male F344/N rats. We observed that, with age, the distribution of the spikes fired by dopaminergic neurons shifts from pacemaker to random mode, and then from random to burst mode. 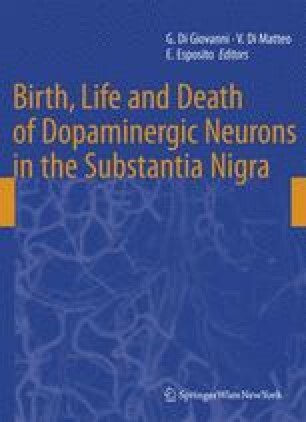 These results suggest that the age-dependent changes in the proportion of nigral dopaminergic firing patterns may have an effect on motor function. The authors thank Ms. Fulva Shah and Dr. James Tepper for technical advice and Dr. Christian Lee for comments on the manuscript. This work was supported by Research Grants for Longevity Sciences (10C-03) from the Ministry of Health, Labour and Welfare of Japan.